For the various requirements of different industrial sectors, we fabricate finest quality plastic pallets for variety of applications. 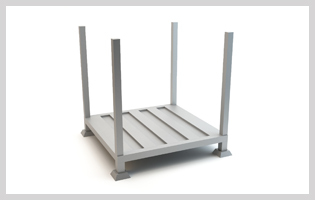 We provide plastic pallets for storage of industrial and commercial sectors. Plastic pallets are easy to clean. It is commonly used in food and beverages. Plastic pallets contains anti fungal and anti bacterial characteristics. It is easy to clean and easy to manage. It can be stacked one on one.